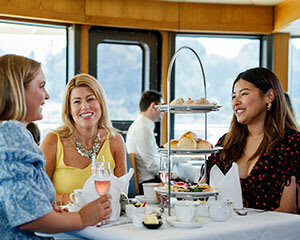 Enjoy a relaxing afternoon cruise around Sydney Harbour with a High Tea at Sea, reviving a great British tradition with a uniquely Australian flavour. Enjoy a relaxing afternoon cruise around Sydney Harbour with a High Tea at Sea, reviving a great British tradition with a uniquely Australian flavour. Your high tea experience starts with a crisp glass of sparkling wine, followed by sweet and savoury treats, think chocolate dipped strawberries, traditional English scones with jam and cream and blinis topped with prawns, and a selection of fine teas. 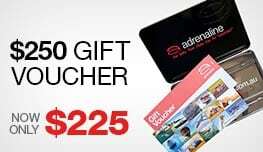 Admire the million-dollar views while enjoying your high tea with iconic landmarks as you cruise along the harbour, such as Sydney Opera House, Sydney Harbour Bridge, Fort Denison and the dazzling city skyline.